Chest John Deere. Made with Oak top and bottom stained light brown. 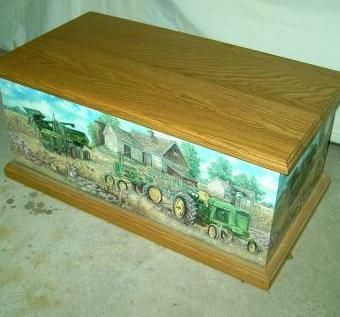 The John Deere is wallpaper border applied to MDF box.